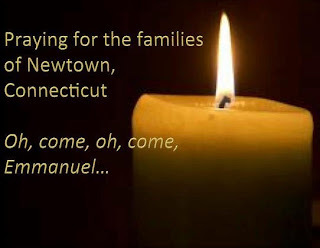 Dear God, words cannot begin to express the grief, the sadness and the lost that is felt by so many families across the nation and the global stratosphere who are left in shock and are mourning the lost of their loved ones who were violently killed yesterday at the Sandy Hook Elementary School, Newtown Connecticut. We ask, why? but only you have the answers. Hearts feel the magnitude of the pain as each one bleed internally by that senseless tragedy and cowardly act of evil that was visited upon the nation. Lord please extend your blanket of mercy and compassion upon each one. Give them strength and courage to embrace life as something beautiful that you have given to each one of us and free them to go forth and not be in fear. 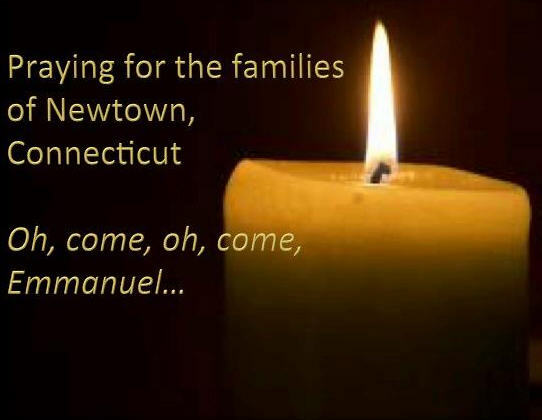 We ask for your divine protection and that you turn the shock and despair into hope, hate into love, sadness into joy knowing that heaven has just received the gift of angels through these young ones. Let your river of grace flow through each and every survivor. We look to you as the only source of comfort knowing that earth has no sorrow that heaven cannot heal. Bind up every wound and heal the scars and the brokenness. Death has left a terrible sting, but you dear God bring comfort, hope, peace, love and joy. For the children who survived, their parents and the relatives, teachers, law enforcement agents, doctors, nurses, caregivers and all those who bravely risked their own lives to help save others. We ask that you eradicate the painful memory of that day from their mind - that it not be left to haunt them.. You are the giver of life, you are life itself. You are great and greatly to be praised and adored. We pray for the nation of the United States especially. We remember President Obama and other leaders who are willing to stand by and with him as he seek for answers to gain strategies and insights to continue leading the nation - to lead it in a Godly way that would please you and bring glory and honor to your name. We recognize it is reality that we are living in the last days and that your coming is near at hand. Indeed it is a time that we prepare the way, prepare our hearts for your coming. Lord we ask for your sweet Spirit to descend upon the land to remove evil, wickedness, hate, crime and violence. We ask for your forgiveness for our own sins and in turn release others through forgiveness. We ask for these and other mercies in Jesus name, amen.